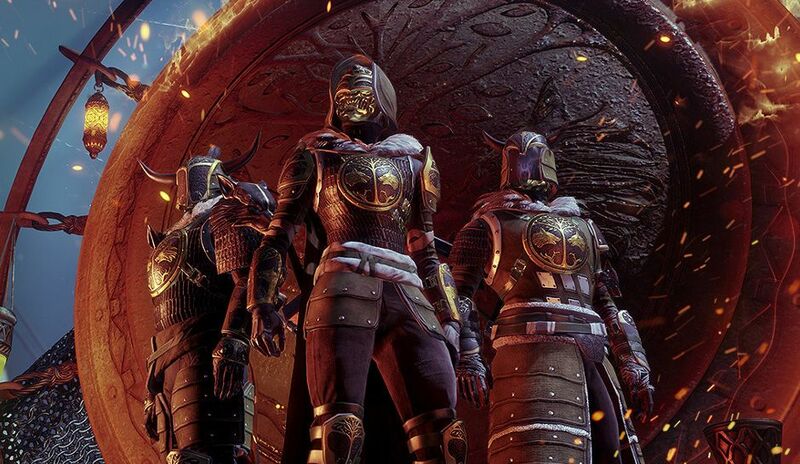 The Iron Banner is opening for the very first time in Destiny 2 today. The event went live at 9AM and is open for a week for Guardians to go into and earn some Legendary and possibly Exotic gear. Bungie has shown off the new armour Guardians can earn but the weapons are still out in the wild ready to be caught right now. As you can see the armour you can earn this week is pretty crazy. The Titan gear looks to be themed around Norse mythology and viking culture, judging from those horns and massive shoulders. Hunters have an individual look, nothing that you could place in history but it does bear small resemblances to both the Warlock and Titan armours. Finally if you check out the Warlock armour it is undoubtedly inspired by Japanese samurai, that helmet alone is enough to make me want to grind for days on end. This week’s Iron Banner match is Control, which has been boiled down into 4V4 matches as with all Crucible matches in Destiny 2. The key difference between Destiny 1 and Destiny 2 Iron Banner is that there is no advantage to gear Power Level. In Destiny 1 you had a damage buff or de-buff if you were a couple of levels above or below your opponent. The lack of a level advantage or disadvantage takes away a lot of what the Iron Banner represents. In Destiny 1 it was a chance for players to show off their biggest and baddest weapons, all of which would have the highest Light level and allow them to be better than all inferior Guardians. Now however, all that is gone and it’s down to a Guardian’s skills alone that are going to make the difference between them being victorious or lying in defeat. A new feature coming to Destiny 2 Iron Banner is Seasons. Each season affects an entire clan, and sounds as if it will be something a clan can work towards to earn progress on their clan banner. Bungie will be discussing this more as time goes on, but for now it’s important to be aware that you’ll be part of a larger whole with Iron Banner from now on. Currently Clans can work together, completing different events within the Destiny 2 director in order to earn weekly rewards for all clan members. What this ultimately means is that you as an individual don’t have to rise to the highest rank or play as many games as possible, because your clan will be working with you in order to earn cumulative rewards. Next articleIs The Time-Worn Spire The Best Iron Banner Weapon In Destiny 2?